With his cheeky branding and dedication to quality product, Steve Sando has almost single-handedly created a market for heirloom beans through his Rancho Gordo brand. Focusing on indigenous and rare varieties, Sando sources his beans from farmers in Central California, Oregon, Washington and New Mexico, as well as small farms in Mexico through the Rancho Gordo-Xoxoc Project. The Rancho Gordo bean club — which sends out monthly boxes beans — is a cult classic, and fans from around the world share enthusiasm for #ranchogordo. “Anyone can slap a steak on the grill, but it takes a bit of care to make beans something creamy and indulgent." 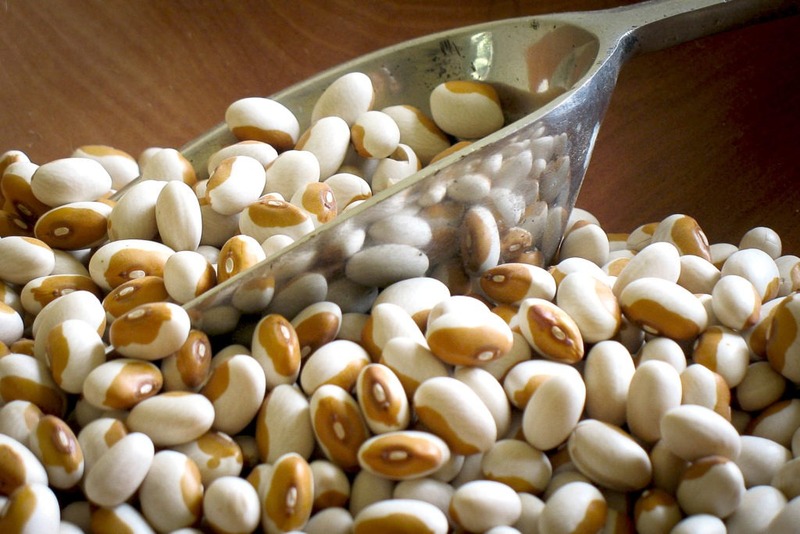 Beyond the well-known lima, pinto and black beans, Sando celebrates classic, old-world beans like the white tepary, yellow eye and rio zape. The book shares basic advice for the best ways to cook beans including slow cooker and pressure cooker methods. Along with more than 50 recipes, the book includes lots of “ideas,” aka dishes that inspire readers to make their own bean creations. 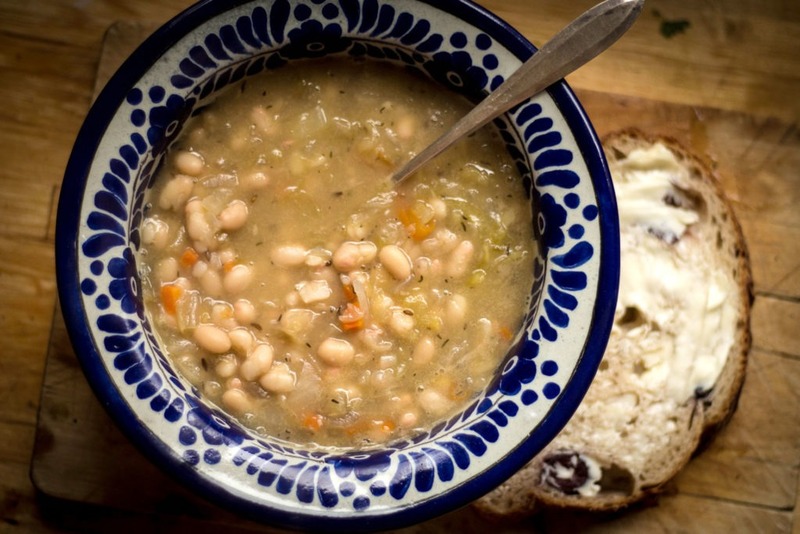 Thinking beyond bean soups (although he has plenty of recipes for those), Sando suggests using his beans in inventive ways that will let their unique flavors shine. Here are five ideas the cookbook has us itching to try. Sando is a big fan of fermented products, and throughout the book suggests combining beans with fermented flavors. A bean salad with radish, carrot and red pepper gets brightened by a fermented pineapple vinegar. And, rather than pairing the classic sausage with sauerkraut, he marries equal parts creamy white beans, sauerkraut and stock into a delicious soup, promising that even the most adamant sauerkraut haters will enjoy it. While beans are often used in soups and salads, baking them — beyond baked beans, the classic barbecue side — is more rare. Inspired by his love of the classic French cassoulet, Sando’s bean gratin is a hearty vegetarian side. Combine sautéed fennel, onions and cooked beans in a casserole dish, top with breadcrumbs and bake. It’s a great way to use up beans if you’ve cooked a pound and are swimming in leftovers. Other sautéed vegetables, including kale, leek or mushrooms, would also work in this one, making it a great way to clean out the fridge as well as the bean pot. For fans of carrot or spinach soufflé, a savory pudding is nothing new. But adding beans to this kind of dish is certainly unique. Sando suggests this recipe as a simple main course or side dish, mixing cooked beans, eggs, heavy cream and seasoning in a blender until smooth, then topping with cheese and baking. The result: a creamy bean casserole. He’s used a variety of beans to make it, and says that while white and medium-bodied beans make the prettiest pudding, darker beans add more flavor. The flavorful liquid that results from cooking beans — also known as bean pot liquor or pot likker — is not to be forgotten. “Extra bean broth is like gold,” Sando writes. Beyond simply sipping it, he suggests using it to poach eggs, thin out sauces or as a base for soup. This Rancho Gordo recipe for asparagus-bean broth soup not only uses the extra bean cooking liquid, but also makes use of asparagus bottoms (usually tossed into the compost bin) for a boost of flavor. In a large skillet, warm 3 tablespoons of the olive oil over medium heat. Add the fennel, onion, and garlic; sauté until soft and well-cooked, 15–20 minutes. Gently stir in the beans and remove from heat. In a small bowl, mix the remaining 2 tablespoons olive oil, bread crumbs, and thyme. In a 9-inch gratin dish, first add the onion-bean mixture. Add enough of the reserved bean-cooking liquid so that the liquid rises just halfway up the beans. Top with the breadcrumb mixture. Bake until the bread crumbs are brown and the liquid is bubbling, about 20 minutes.